Solar panels would be fantastic if mankind could figure out how to get them to work efficiently -- and a new finding may have cracked the code. Solar panels are one innovation that just hasn’t caught on yet — but a new discovery may have just fixed some big problems with the technology. By affixing solar panels to rooftops in a kirigami fashion instead of at a fixed angle, scientists may have figured out a way to boost the efficiency of solar panels, according to a Mashable report. Kirigami is a variation of origami that involves cutting and folding, and using this method researchers have been able to shape the cells in a way that would track the angle of the sun so that the whole panel doesn’t have to be tilted. 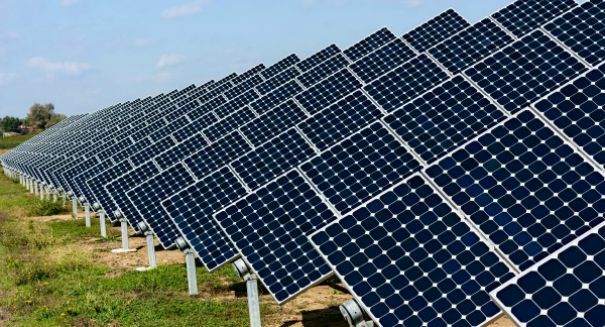 Scientists estimate it could have big payoffs, as solar panels that have tracking mechanisms already boost solar power collection from 20 to 40 percent per year, and this method would make them even more efficient. Essentially, this would be a “wavy” structure that would prevent another strip from creating a shadow on the other strips, and the new shape wouldn’t cut back on the performance of the panels. The research was led by Max Shtein, who is a professor of materials science and engineering at the University of Michigan. He was assisted by Stephen Forrest, who serves the same role at the university. This kirigami approach would allow the panels to generate more electricity without using more semiconducting material, and it would be more efficient to the same degree as tracking systems. These tracking systems are often costly, leading many who install these panels to forego them and therefore lose the benefits of them. This innovation would allow people to enjoy the increased efficiency without the huge up-front cost. This new device would have solar cells that are flexible and made of gallium arsenide. It’s not yet practical for commercial application, but this discovery gives scientists a new lead in discovering how to make solar panels more efficient.